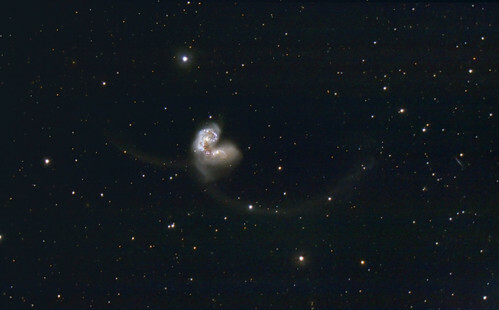 Antennae Galaxies – Originally uploaded by dgoodin. Flickr Find 3 of 5. I thought it was time once again to profile some of the great pictures that can be found on Flickr. Many astrophotographers can be found in the various groups all over the photo sharing website.Here are a few from the astrophotography group, which is always featured in the sidebar on Orbiting Frog. This image is so good I honestly wondered if it was really taken by an amateur. Absolutely brilliant. You can compare this to the HST image of the same objects and marvel at the accuracy of this earth-bound image. 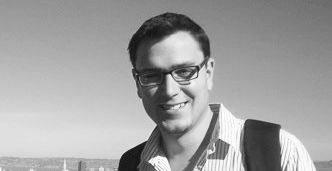 I'm Robert Simpson and I work at Google in London. I am the creator of <a href="http://dotastronomy.com">.Astronomy</a>. I am astrophysicist formerly of the <a href="http://zooniverse.org">Zooniverse</a> at the University of Oxford.